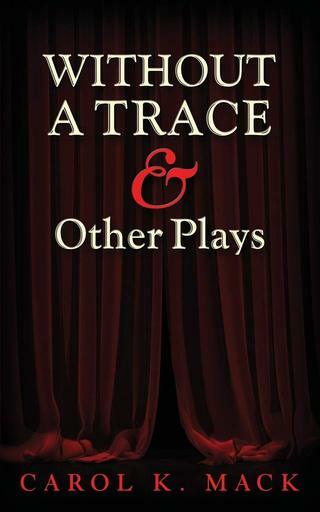 A new collection of four produced, award-winning plays: Without A Trace, The Accident, Territorial Rites and A Safe Place. They each appear in WORKS with reviews and descriptions. 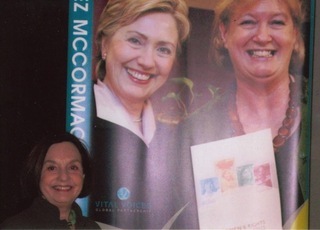 Hillary Clinton & Inez McCormack (Chair of the Practice & Participation of Rights Project in Northern Ireland) with Carol Mack who conceived of SEVEN and wrote "Seeing Another Country", a monologue based on interviews with Ms. McCormack, Dramatists Play Service. Poster for Without A Trace Sounds of Progress, Glasgow. 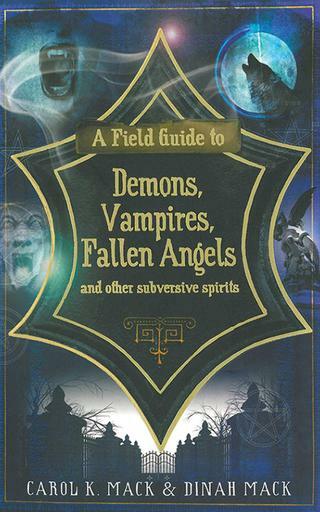 Skyhorse Publishing Arcade imprint, paperback of A FIELD GUIDE TO DEMONS,VAMPIRES, FALLEN ANGELS & Other Subversive Spirits, now e-book available. 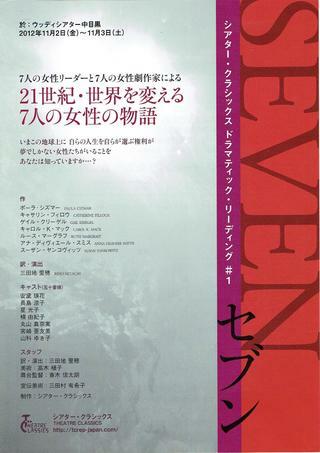 SEVEN was performed in Tokyo, Jordan, and in Istanbul in 2012. SEVEN performed in Rabat, Morocco in Arabic and French, September 2013 and in Kosovo, Albania,Croatia, Serbia, Bosnia-Herzegovina, and Macedonia. Its imaginative productions continue all over the world. September 2010 SEVEN in Delhi at the Asia Summit of Vital Voices Global Partnership. September, 2010 SEVEN was performed in Istanbul See: Link Read about SEVEN in Turkey. WITHOUT A TRACE. Tron Theatre, Glasgow, Scotland, Directed by Gerda Stevenson. One month National Tour followed. IN HER SIGHT, 21st Humana Festival, Actors' Theatre of Louisville, directed by Bob Scanlan. THE ACCIDENT, American Repertory Theatre, Cambridge, MA., directed by Marcus Stern. BORDERS, Denver Center for The Performing Arts, Directed by Roberta Levitow. TERRITORIAL RITES, The American Place Theatre, Directed by Josephine Abady, Starring Kim Hunter and Michael Gross. A SAFE PLACE, Berkshire Theatre Festival in Association with The Kennedy Center for The Performing Arts, Directed by Josephine Abady, starring Cynthia Nixon and Holly Hunter. SURVIVAL GAMES, Berkshire Theatre Festival , Stockbridge, MA, Directed by Roger Danforth. ESTHER, The White Barn Theatre Foundation, Westport, CT., Directed by Stuart Vaughan; Promenade Theatre, New York City, Directed by Joel Zwick, starring Dianne Wiest. POSTCARDS, Ensemble Studio Theatre, NYC, Directed by Joan Micklin Silver. AFTER, Actors’ Theatre Of Louisville. MAGENTA SHIFT, Theatre of the Open Eye, Directed by Amie Brockway. A.K.A. MARLEEN, New York Open Center, Directed by Arnold Willens. OUT OF FOCUS, Theatre Artists Workshop, Ct. One Act Festival; Pandora Festival, Arizona Women's Theatre Company, Scottsdale, Arizona. UNPROGRAMMED, Theatre Artists Workshop, Westport, CT., Directed by Tom Zingarelli. BORDERS, W.P.A. Theatre, N.Y.C., Directed by Pam Berlin, starring Stockard Channing; First Stage, L.A.; Fairfield University, Directed by Jim Luse. MAGENTA SHIFT, University of Colorado, Colorado Springs. GAZEBO, New England Theatre Conference, MA. FAMILY HOUSE, New Dramatists, N.Y.C. Work included in BEST MONOLOGUES from BEST AMERICAN SHORT PLAYS, Volume One edited by William W. Demastes, Applause, 2014. THE COURIER, The Best American Short Plays, 2006-2007, Applause Theatre & Cinema Books. FLYING, Even More Monologues By Women for Women, Greenwood- Heineman, 2002. AFTER, Ten-Minute Plays: Volume 5 from Actors Theatre of Louisville, Samuel French, 2001. IN HER SIGHT, Humana Festival '97: The Complete Plays, Smith and Kraus, 1997. MAGENTA SHIFT, Best American Short Plays Of 1994-1995, Applause, 1995. UNPROGRAMMED, Best American Short Plays 1990, Applause, 1991. POSTCARDS & OTHER SHORT PLAYS by Carol K. Mack, Samuel French. HALFTIME AT HALCYON DAYS, Best Short Plays 1985, Chilton. TERRITORIAL RITES, The Women's Project Anthology, Volume 2, P.A.J. THE VISITOR, recipient of a grant from The National Foundation for Jewish Culture, to research and develop play. P.E.N. American Center; Dramatists' Guild; Authors' Guild; League of Professional Theatre Women; Alumna, New Dramatists.